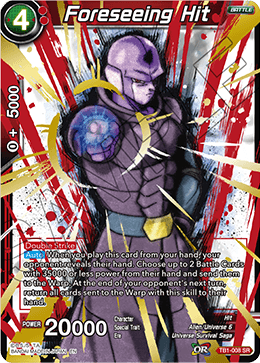 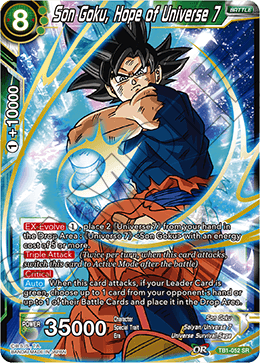 When you play this card from your hand, if your Leader Card is red, choose up to 1 of your other 《Saiyan》 Battle Cards in play which are 《Universe 7》 or 《Universe 6》 and switch it to Active Mode. 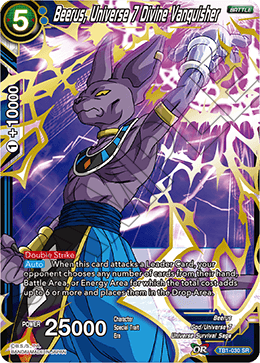 Both that card and this card gain +10000 power and for the duration of the turn. 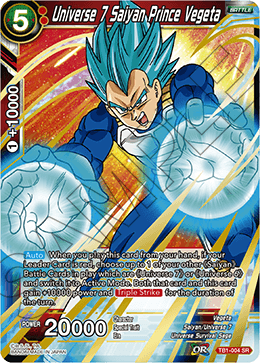 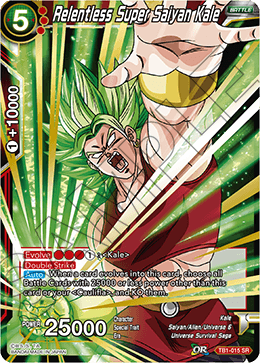 When a card evolves into this card, choose all Battle Cards with 25000 or less power other than this card or your ＜Caulifla＞, and KO them. 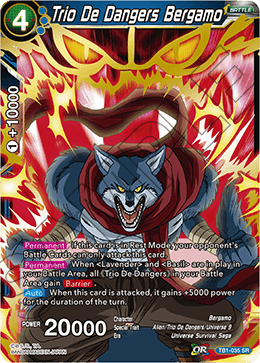 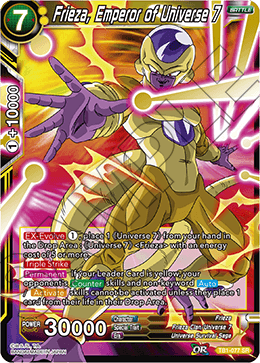 When this card attacks a Leader Card, your opponent chooses any number of cards from their hand, Battle Area, or Energy Area for which the total cost adds up to 6 or more and places them in the Drop Area. 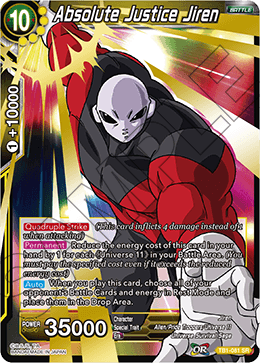 If this card is in Rest Mode, your opponent's Battle Cards can only attack this card. 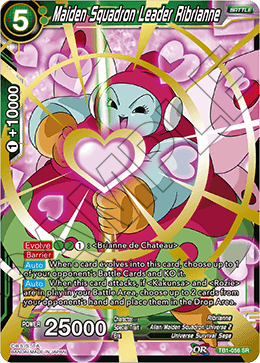 When ＜Lavender＞ and ＜Basil＞ are in play in your Battle Area, all 《Trio De Dangers》 in your Battle Area gain . 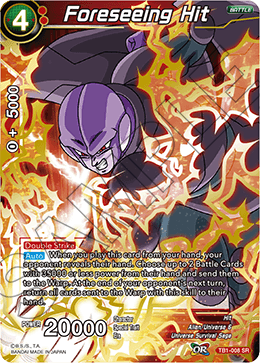 When this card is attacked, it gains +5000 power for the duration of the turn.